You want to go see the world? 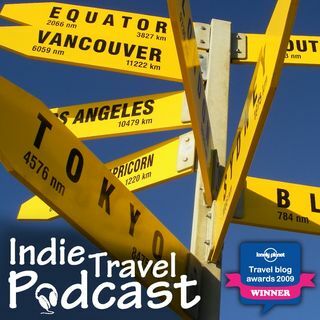 The Indie Travel Podcast serves as an online home to backpackers, expats, digital nomads and career breakers. We continue to find interesting stories from people on the road, amazing opportunities to fund people’s travels, and practical advice from every continent in the world. Recorded and produced by full-time travellers, not desk-jockeys.